A sweet keepsake card. 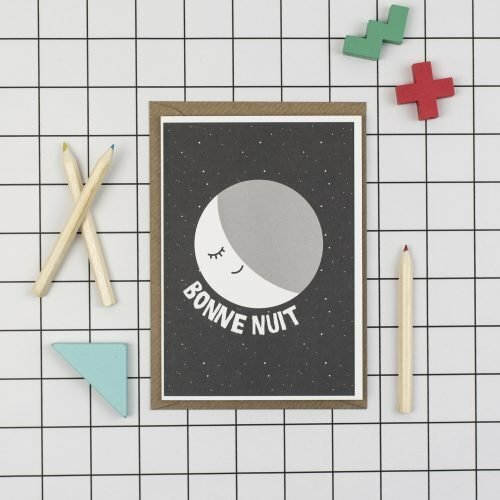 Paired with the Bonjour nursery card, these look beautiful in mini frames. 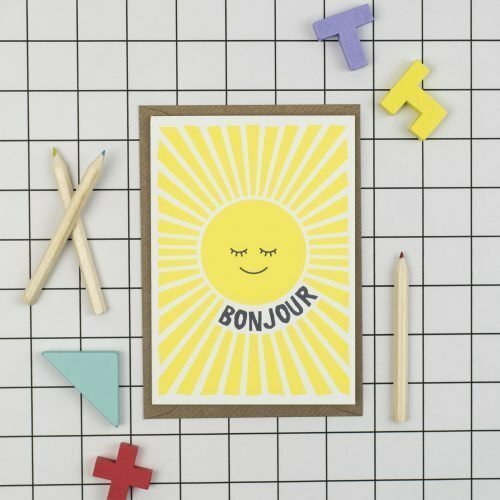 Say 'Bonjour' to a little ray of sunshine with this sweet card! 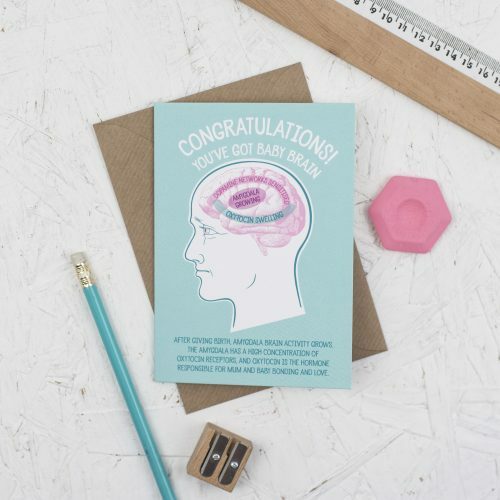 Congratulate parents-to-be with this brilliant new list card! 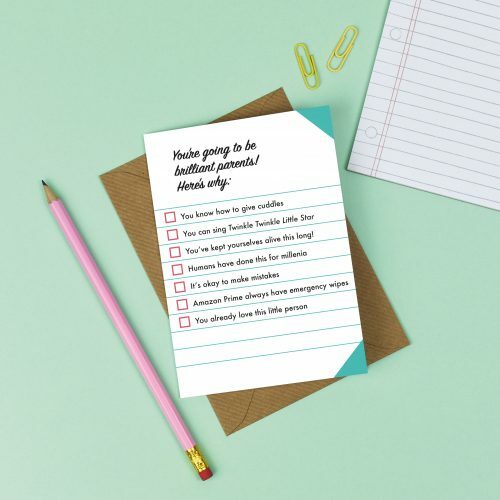 Congratulate parents on their beautiful new arrival with this brilliant new list card. 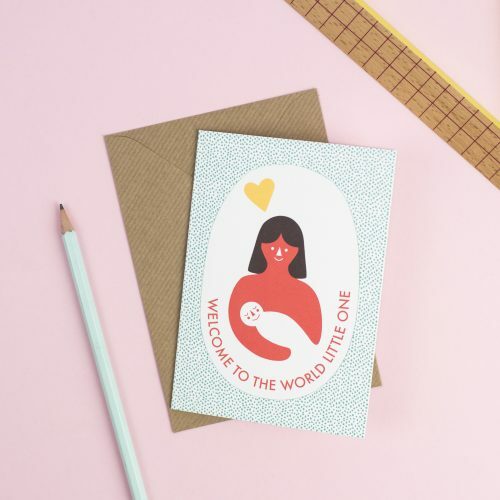 Send this sweet, thoughtful card to celebrate the arrival of a brand new bundle of joy! 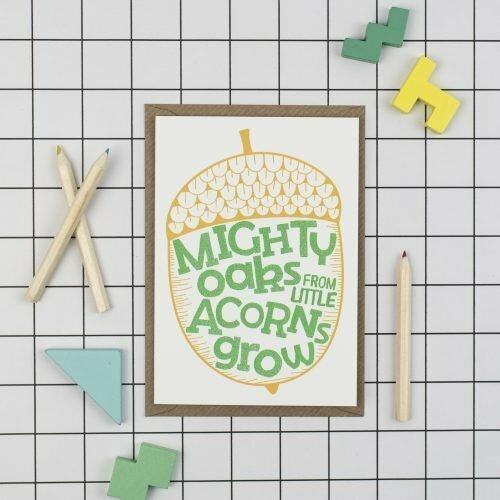 Welcome a gorgeous new baby with this clever, retro inspired design. This design has been very popular because unlike many baby cards, it's not pink or blue!! The card is blank inside for your own message.